The Crane Merchant vending machine with optional touch screen display is the next generation in snacks vending machines. 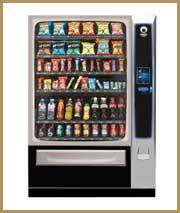 This machine allows for a complete snacks and cold drinks solution through one vending machine. 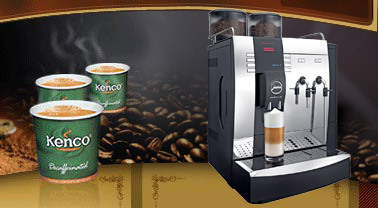 Thanks to the capacity of the Merchant you do not lose product choice by having only the one machine. The touch screen and new technology allows the customer to build a shopping basket of purchases before �checking out�. There is also the ability to load the nutritional information for every product in the machine which can be called on by the user through the touch screen interface. The Merchant is compatible with most payment systems including change giving coin mechanisms, note readers and even card based systems. It is also designed to be banked with other Crane vending equipment such as the Voce coffee vending machine and the Bevmax cold drinks vendor. If you prefer then one of our operators can visit your premises in order to keep your machine stocked with product and cleaned. The Merchant vending machine comes in 2 sizes: the Merchant 4 and the Merchant 6. These machines are capable of vending the same products but the Merchant 6 has a capacity approximately 50% higher than that of the Merchant 4. The Merchant 6 is approximately 30cm wider in order to allow for these extra choices so you must be careful when measuring up in to ensure that the machine will fit into the available space. 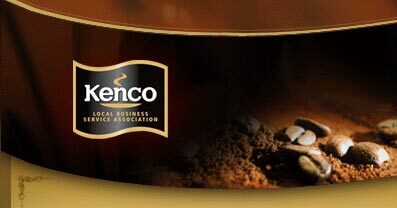 We supply the Merchant vending machine across Greater London as well as areas such as Aylesbury, High Wycombe, Slough and Maidenhead. Our premises just outside Hemel Hempstead allow us to offer a first class service in all of these locations and other adjoining areas. Our technical team are fully trained on this equipment and as such we can offer full on-site servicing and training. 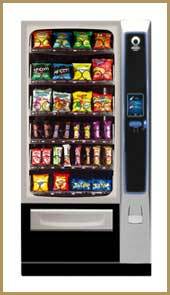 As previously mentioned if you prefer not to look after your snacks machine then our operators can visit your premises in order to keep the machines stocked and cleaned.